Forty years ago a small group of community leaders met and decided that they needed an event to showcase the great fall fishing Southport-Oak Island area has to offer. 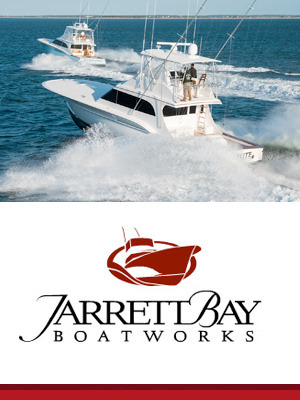 The prizes and expenses for the first tournament were guaranteed by those community leaders signing a promissory note at a local financial institution – thus the U.S. Open King Mackerel Tournament was born. The U.S. Open King Mackerel Tournament now attracts almost 400 boats annually and is held in high esteem by the community and anglers. LIVE Demos from SiriusXM Marine Weather! Stop by the Ultimate Fishing Trailer at 3PM on Friday and 6PM on Saturday for FREE SiriusXM Marine Weather swag and giveaways. 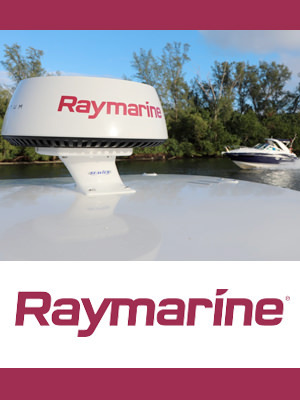 See SiriusXM Marine Weather in action! 10:00 a.m. 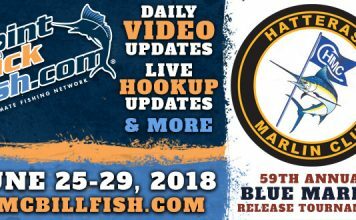 Registration & Packet Pickup Opens at Southport Marina and remains open until Midnight. 7:00 p.m. Captains Meeting. It is strongly advised that all captains attend this meeting, as any rule changes or clarifications will be announced. 7:00 – 9:00 a.m. – Check-Out Points open & competition begins. See rules for locations. After 9:00 a.m. check-out must be made at Southport Marina with a designated official. 4:00 p.m. – Check-In point manned – on NC Baptist Assembly @ Fort Caswell Fishing Pier and South Harbor Marina’s Fuel Dock- ICW. 5:00 p.m. – Competition ends for the day. 7:00 a.m. – 9:00 a.m. – Check-Out Points open & competition begins. See rules for locations. After 9 a.m. Check-out must be made at Southport Marina with a designated official. 9:00 a.m. – 12:00p.m. 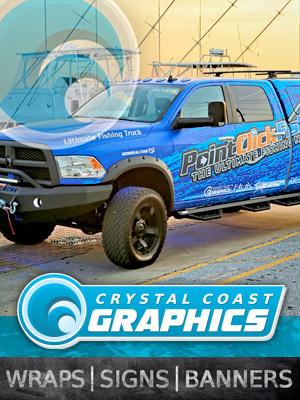 – Captain Charlie Kids Fishing Tournament -Southport City Pier. Registration at 9:00am. Tournament fun 10:00am-12:00pm. TEE SHIRTS WILL BE GIVEN OUT AS LONG AS THEY LAST. For more information contact City of Southport Parks & Recreation Department, (910) 457-7945. 11:00 a.m. – 7:00 p.m. – Fish Fry – Fish & Shrimp Basket -$7.00, Italian Sausage with peppers & onions -$5.00, BBQ Sandwich -$5.00, French Fry Basket -$4.00. Open To the Public. Food vendor: Wallace Catering.